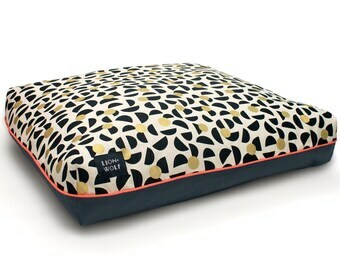 Cushion - If you want the best seat in the house....move the dog! 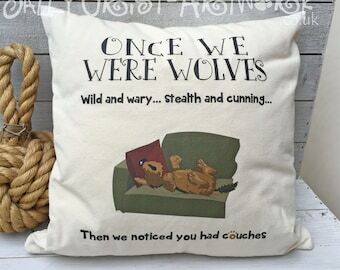 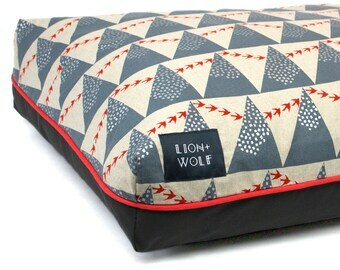 Once we were wolves.... Canine evolution on a cushion! 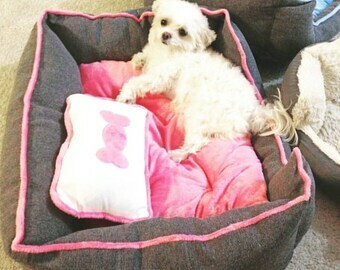 Inner pillow, Internal pillow with filler, Cotton pillow, Cotton inner cushion, Bed pillows, White cotton pillows, 14.5" x 20.5"
Balmoral Twist Dog Cushion Bed in Duck Egg - One Cushion Two Looks!